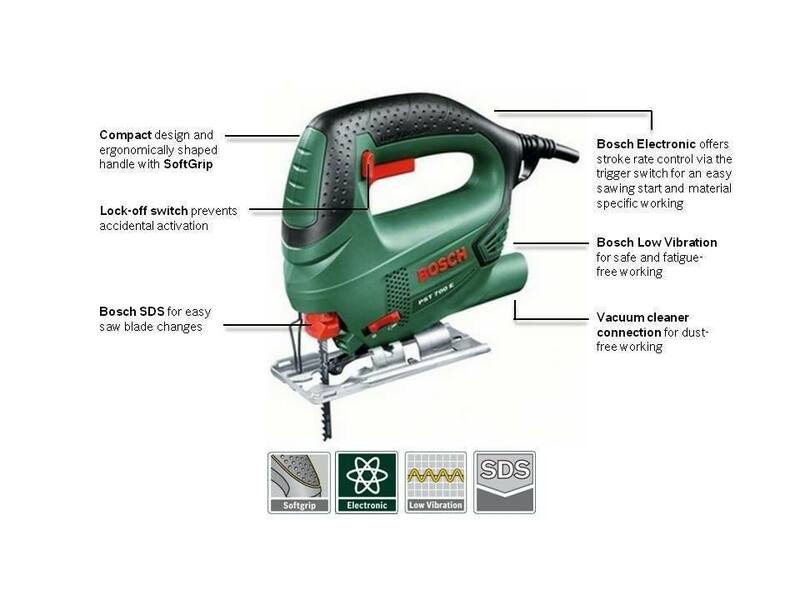 The Bosch PST 700 E is currently the best selling jigsaw in the UK. If you want to own a high quality saw like this, and are prepared to pay around £40, then you will not be disappointed. There are hundreds of reviews on this saw, and buyers have rated their purchase, with an average rating of 4.7 out of 5 stars. For tools of this nature, it really does not get any better than that. 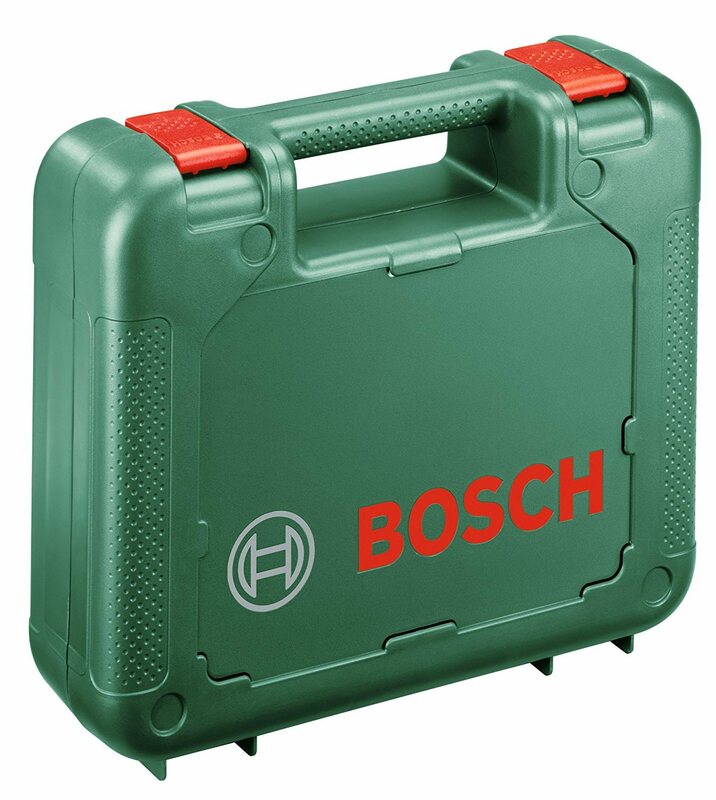 ​There are many people who like this Bosch brand. The reason is that they do make very good tools. Those include both power tools and gardening tools. Please note that this is a corded jigsaw. As such it is one that you will need to plug into a main's socket, for it to get its power. If you are interested in a cordless jigsaw, then check out our cordless jigsaw reviews, by clicking here. The RRP for this jigsaw is £49.99, but you should be able to pick this one up for closer to £40 online. We know that buyers rate this one highly with 4.7 out of 5 stars. That, in our opinion makes this one affordable, and we also know that the ratings are very good indeed. The 700 E has a 500 watt powerful motor, that can cut up to 70 mm in depth (2.75") The blade is very effective, and can be changed in seconds, without needing to use any tools. An air blast keeps the cutting line clear. The grip is good and it has a very low vibration. 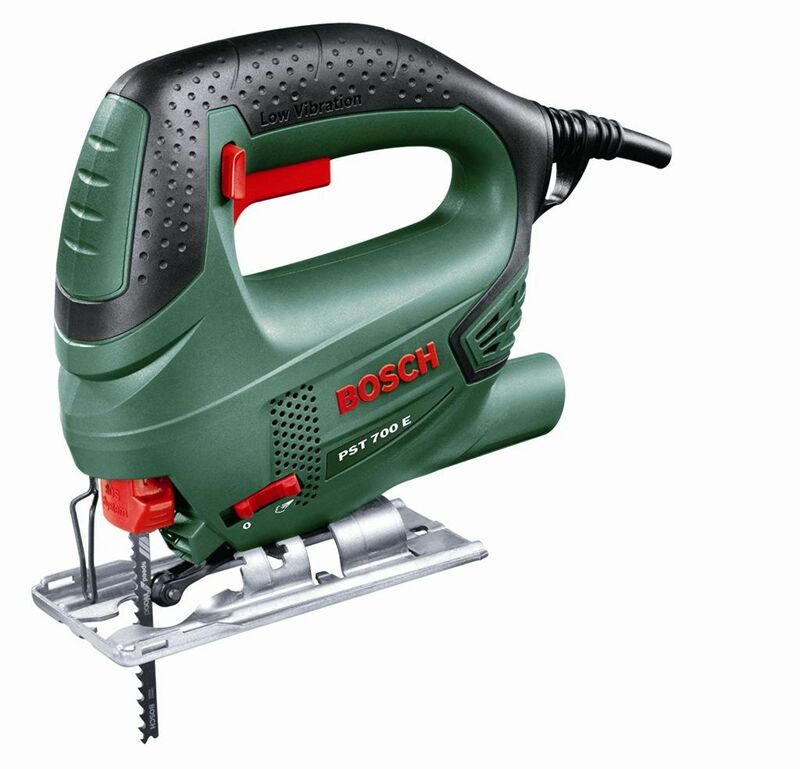 Who Should Buy the Bosch PST 700 E Jigsaw? 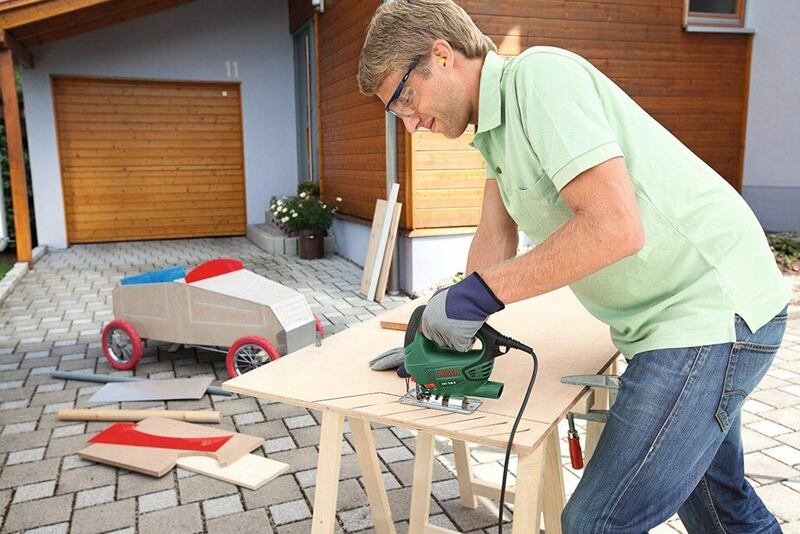 Having a jigsaw around the home and garden is simply just a very good idea. Anyone who likes to work on home projects, home repairs, home renovations, crafts and hobbies, will benefit from owning this 700 E model. If you need to make either straight or curved cuts, in wood, plastic or even light metal, then this is also a good choice for them. There is also a cable guide, and a hook where you can hang up your jigsaw, when not in use. We searched around on YouTube to try and find the most helpful video on this one. We found this one and we think it is the best of the bunch. Compact and Light - Many buyers commented that unlike many other jigsaws, this was a nice size and a nice weight. It had tons of power and yet it felt easy in the hand with very little vibration in the hand or arm. Affordable- There are many very good jigsaws on the market. Mainly they are for professional use, but they costs a fortune. Many buyers commented on the fact, that this one felt professional, but at a fraction of the price. There were no major complaints about this saw. Of those that we did find one or two buyers had problems changing the blade. A couple of buyers said that this jigsaw wandered off line when cutting. It is worth noting only 2% of buyers gave this jigsaw a bad review. You can see more details of that below. We have no hesitation in recommending this 700 E jigsaw. If you need something of this nature to do some work around the home or garden, then this will get that done. However, if this is not the jigsaw for you, then why not check out our top 10 jigsaws by clicking here.